Our dedicated team of writers and researchers are your personal tour guides to the history of B-films made in Canada. Paul Corupe watches far too many films, typically very bad ones. This obsession led him to create Canuxploitation.com in 1999 after finding little published coverage of offbeat Canadian films. 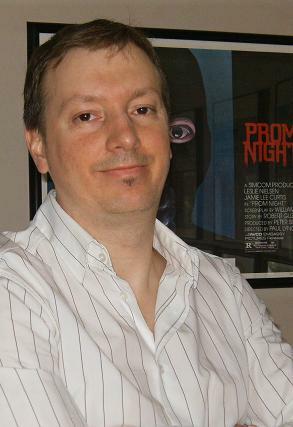 He regularly writes about genre film and Canadian cinema in publications including Rue Morgue magazine and Take One: Film and Television in Canada. He has appeared in several documentaries about Canadian film and scripted episodes of Bravo's On Screen! television series. His personal site can be found here. 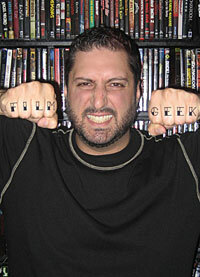 Dave Alexander is the Editor-in-Chief of Toronto-based Rue Morgue magazine. Originally from Edmonton, he holds a degree in Film and Media Studies from the University of Alberta, has made award-winning short films, worked as freelance writer for publications such as Spin and Maxim and currently programs a monthly movie night at T.O.’s Bloor Cinema. He may be the only person to ever write an academic paper on Visiting Hours. Follow his film musings at Blogtastic Voyage. James Burrell is a Toronto-based writer who contributes to several publications including Rue Morgue magazine, where he’s penned articles on such creepy Canuck classics as My Bloody Valentine, Prom Night and Happy Birthday to Me. An avid collector of Canadian horror film memorabilia, he spends his spare time searching for the most lurid Cronenberg and slasher epic posters in which to decorate his modest abode. As founder and proprietor of Satan Macnuggit Popular Arts, Jonathan Culp has produced over three dozen films and videos ranging from found-footage collages to feature comedies. He spends much of his time obsessing over Canadian movies, especially features from the 1970s and '80s. 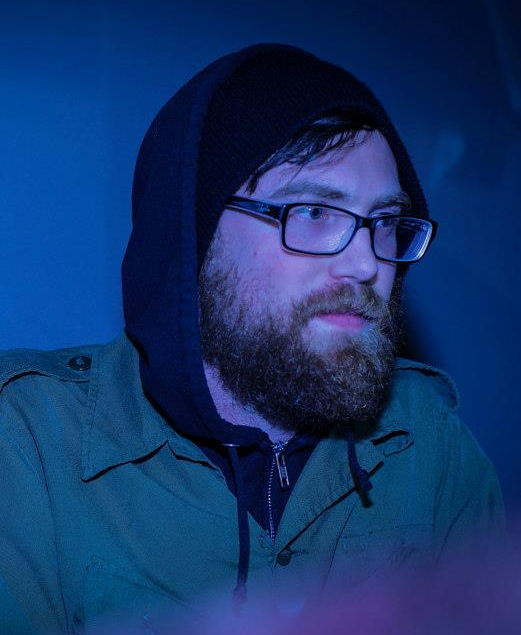 He is also a regular programmer at Toronto's Trash Palace cinema. You can see more of his film reviews at his blog, cinertia.blogspot.com. David DeCoteau is a filmmaker living in Winnipeg who has made over 70 movies, and he plans to keep doing it until he gets it right. He also wrote the forward for Caelum Vatnsdal's Canuck horror movie book They Came From Within. 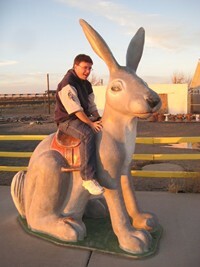 DeCoteau's site is rapidheart.com. Ralph Elawani is Montreal-based musician, music journalist and writer who will one day be a grumpy old man trapped in a body reminiscent of an aging Dustin Hoffman. His writing has appeared in Razorcake, Cashiers du Cinemart, Nightlife Magazine, Nomag.ca, Midnight Poutine, Y & A and elsewhere. He has been an occasional commentator on CBC Radio Canada Bande a Part and has curated a number of events at Montreal’s micro-cinema/arthouse Blue Sunshine. He is currently writing a book on Quebecois poet, film critic and novelist Emmanuel Cocke and will eventually publish a collection of short stories entitled Tous les chiens sales vont au paradis (All Dirty Dogs Go to Heaven). Elawani also runs Montreal-based label Vintage Violence Records. Brett Holmes operates Oh, the Horror!, examining the unbelievable peaks and unfathomable valleys of the classic and modern horror film. When the screaming finally stops, he re-lives childhood memories involving lewd teen comedies, especially those with a hint of maple. Peter Kenter grew up in Toronto, Ontario, bathed in the indifferent glow of a 24-inch black and white television set. 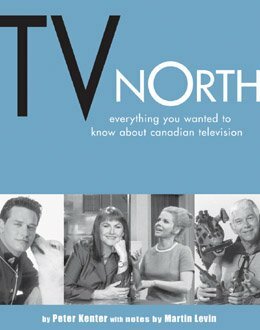 He is the author of the highly useful book TV North: Everything You wanted to know about Canadian Television. 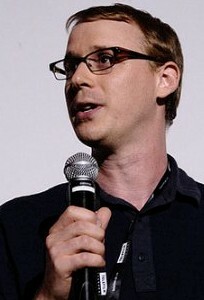 Patrick Lowe is a Winnipeg writer and filmmaker. He originally started in animation doing Canadian content segments for Sesame Street, and has (so far) three films to his credit: Going Ape, Gerald the Genie, and A Bit Transcendental (the last which has played on Zed TV). When he's not at his dayjob as a market research interviewer, he's working on the finishing touches for his latest piece, Gavin Alcock: On The Floor & Thinking. 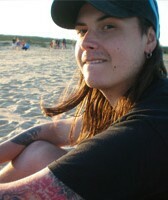 A University of Calgary film grad, Rhett Miller is a reviewer for Horrordvds.com and DVD in My Pants. He is an avid film enthusiast, but generally likes studying lowbrow 1980s comedies and horror films. Allan Mott is the Edmonton-based writer responsible for such books as URBAN LEGENDS, GOTHIC GHOST STORIES and HAUNTING FIRESIDE STORIES. His least embarrassing literary achievement is his 2005 book, SCARY MOVIES, which documented the creation of six of his favourite horror movies—including David Cronenberg’s THE FLY. His reviews appear weekly on the B-movie blog Flickattack.COM, and he attempts to update his own blog, Vanity Fear as often as inspiration allows. Christopher O'Neill may not be Canadian, but has been obsessed by Canadian exploitation movies after seeing Shivers and Videodrome at a ridiculously young age. This corruption during his formative years sparked an interest in all sorts of weird and wonderful cinema, and he has gone on to write for publications such as The Dark Side, Film Ireland and the World Film Locations book series (Intellect Books). He is also a cinema programmer, involved in festivals such as Dundead in Dundee, Scotland and Twisted Celluloid, which takes place in a former church (with crypt and graveyard) in Cork City, Ireland. A professional history geek with an special interest in her province's past, Halifax-based Lauren Oostveen writes "Smash Cut," a biweekly film column focusing on cult and horror titles for the Chronicle Herald that often has an East Coast bent. 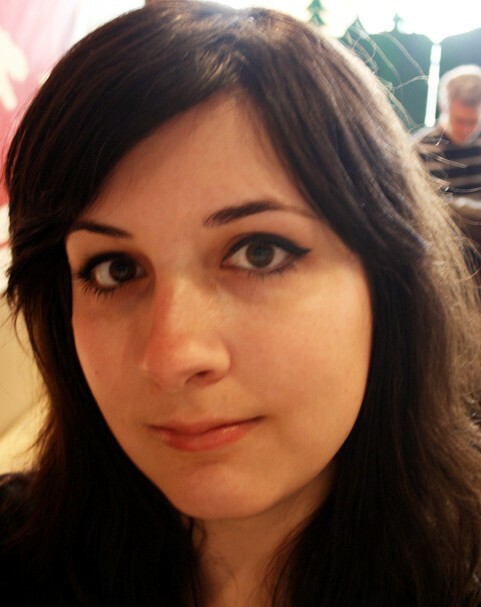 When she's not busy to digitizing and preserving some of Canada's oldest films, Lauren blogs for Spacing Atlantic and her own site, Zombies Ate Lauren!. Josh Schafer is an avid nostalgia enthusiast who likes to spend his days watching lotsa movies (on VHS, of course), reading strange stories and collecting stuff that glows in the dark. He is the Publisher and Editor-in-Chief of Lunchmeat Magazine and currently writes and hosts a show called Lunchmeat VHS Rewind Theater which airs on The Monster Channel. In his spare time he creates alternate worlds, summons maximum riffage from his axe and endeavors to live the high life. He recommends a daily dose of fun and implores you to feed your VCR! Rick Trembles has developed a worldwide reputation publishing and distributing his own alternative comics since the late seventies and has been featured in anthologies by Robert Crumb, Fantagraphics Books, New York City's Legal Action Comix, France's La Monstruese and in the 2000-page hardbound book Comix 2000. 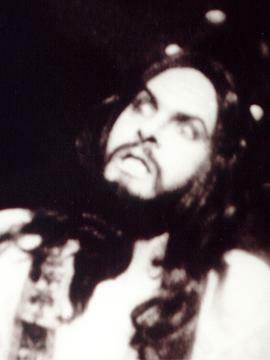 His critically acclaimed books Motion Picture Purgatory volumes 1 & 2 were released by FAB Press (UK). He has adapted several of his comics into animated films, some of which have won awards, like the autobiographical Rick Trembles’ Goopy Spasms Live Cartoon Show. His most recent release is a comics adaption of Wild at Heart, personally approved by author Barry Gifford for The Graphic Canon Volume 3 from Seven Stories Press (NYC). He is currently working on a comic book about the illegal eviction that turned his life upside down in 2012. His work has been exhibited at numerous art galleries. 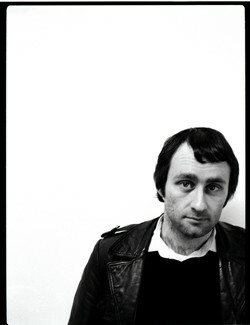 He’s a singer/songwriter for one of the world’s longest lasting post-punk bands The American Devices (founded in 1980). Caelum Vatnsdal makes movies and chews bubble gum. and he's fresh out of bubble gum. He's made one feature film so far, several music videos (mostly for The Weakerthans), some short films and documentaries, and has written books about the films of Guy Maddin and Canadian horror. All this and he still can't afford a few more vowels for his last name. Special thanks to Canuxploitation's resident proofreader, Alex Mlynek. Canuxploitation logos designed by Ghoulish Gary Pullin.